I can’t believe it’s already almost April! I’ve had a slow-ish reading March, but I did manage to read Internment which was amazing, and I’m reading Daisy Jones and the Six now, which is alright (disappointed face). Anyways, some really exciting titles coming up this month, check these out! Forward Me Back to You by Mitali Perkins: I adored Mitali’s last book You Bring the Distant Near, and this one sounds super interesting! Katina King, the reigning teen jujitsu champion of Northern California, and Robin Thornton, who was adopted from an orphanage in India, meet on a summer service trip to Kolkata to work with survivors of human trafficking. This sounds like nothing else I’ve read in YA yet so I’m looking forward to reading this soon. Love and Other Curses by Michael Thomas Ford: A family has been haunted by a curse for generations – if one of them falls in love before their seventeenth birthday, the person they love dies. Sam, a young and innocent hopeful drag queen, finds himself in trouble when a new guy moves to town. This sounds silly and cute! In the Neighborhood of True by Susan Kaplan Carlton: In 1958, Ruth and her family move from NYC to Atlanta after her father dies. Ruth figures out she can ‘either be Jewish or be popular.’ She decides to hide her religion, and soon finds herself hanging out at an all Christian club. But she keeps going to temple secretly. 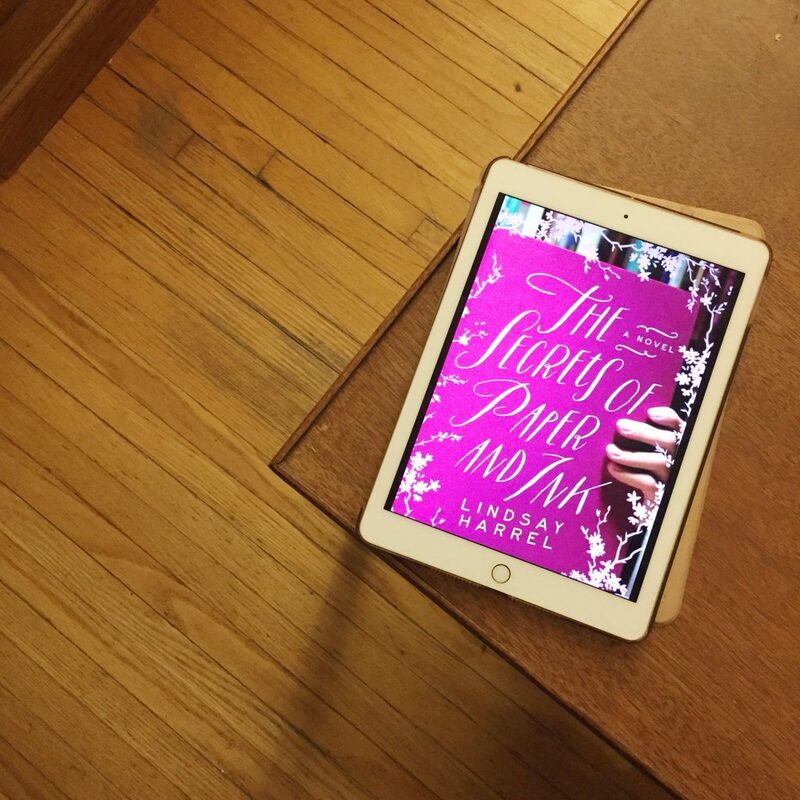 She ends up caught between two love interests, two worlds, and two religions. I’m very curious of this one, and it seems to be getting great reviews! 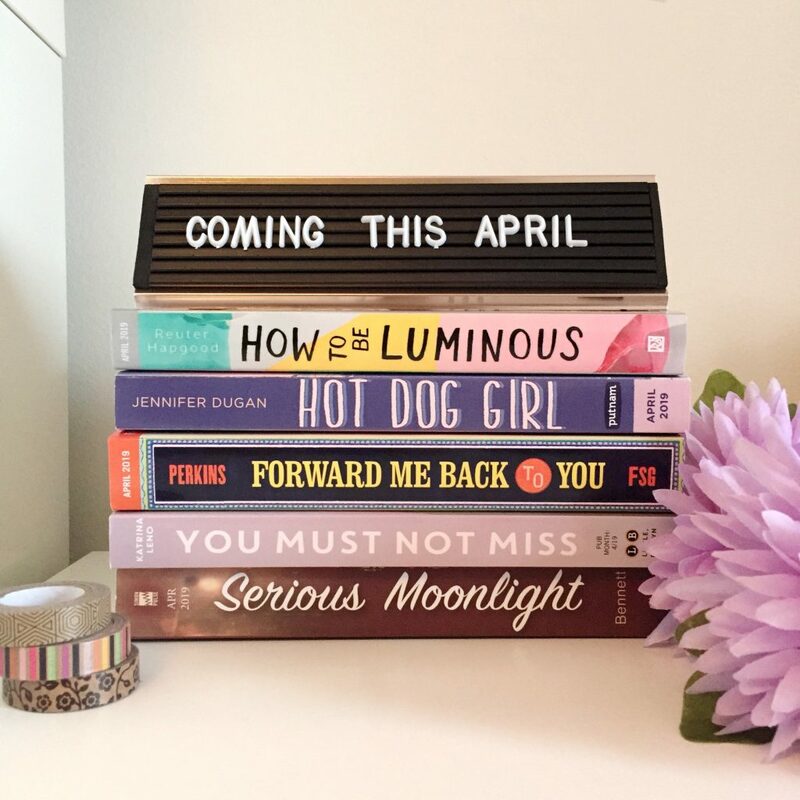 Serious Moonlight by Jenn Bennett: I am sooo ready for a new Jenn Bennett. Alex, Approximately was one of the best books I read last year – this author really knows how to write hate-to-love chemistry! Birdie and Daniel are forced to work together in a Seattle hotel where a famous author leads a mysterious and secluded life. So not only is there going to be some great banter but also mystery! I can’t wait to get to reading this. Normal People by Sally Rooney: This I’ve read already, and you guys, it’s fantastic. It’s as good as everybody says it is. I haven’t read Conversations with Friends but I’d like to now. Anyways, this follows an on-again-off-again couple from high school through college. Connell and Marianne are very different people. Connell is too concerned about what others think of him, while Marianne is comfortable in her own skin. So much is working against these two but they’re always drawn back to each other. It’s melancholy in the best way. It’s beautifully written. Highly recommended! This will be one of my favourites this year. Hot Dog Girl by Jennifer Dugan: I’ve been hearing a lot of good things about this one so far this year. It sounds adorable! Lou Parker is determined to have the most epic summer, but a few things stand in her way. She’s landed a job at an amusement park dressed as a hot dog. Her crush already has a girlfriend. Her best friend is not into Lou trying to set her up with the perfect girl. And it turns out this could be their last summer at the park, unless they can find a way to stop it from closing. This sounds like the sweetest YA romcom, and I am here for it. How to be Luminous by Harriet Reuter Hapgood: When seventeen-year-old artist Minnie’s mother disappears, so does her ability to see colour. Minnie and her sisters have already lost their fathers, so they’re left to fend for themselves. Minnie worries about losing everything, even her mind. I’m hoping this is an interesting piece on mental health. What are you looking forward to reading in April? Also, get ready, May is going to be EPIC. The list of books I’m excited for that are coming out this year is incredible. Last year was not like this! There are so many interesting books on their way. Here’s what I’m looking forward to just this month. Daisy Jones and the Six by Taylor Jenkins Reid: This fictional story of a band’s mysterious break-up will certainly satisfy fans of Almost Famous and Behind the Music. While I’m past the point in my life of loving stories about musicians (it’s a thing for me, sorry), I absolutely adored The Seven Husbands of Evelyn Hugo so I’m willing to give this a shot. Chicken Girl by Heather Smith: After being mocked online for dressing up as Rosie the Riveter (why?? ), Poppy decides to change her style to that of a chicken costume and accepts a job of waving a sign outside of a restaurant. She meets six-year-old Miracle, who helps her see past her pain. Heather Smith wrote The Agony of Bun O’Keefe which I still have to read (eep) – it was beloved and has set her up as an author of really interesting characters, so I’m curious of what’s in store for Poppy! Opposite of Always by Justin A. Reynolds: When Jack meets Kate at a party, spending all night talking, he knows he’s going to fall hard. But then Kate dies. And this isn’t an ordinary story – Kate’s death ships Jack back in time to their meet cute – and he’s stuck in a loop of trying to save her, but actions are not without consequences. 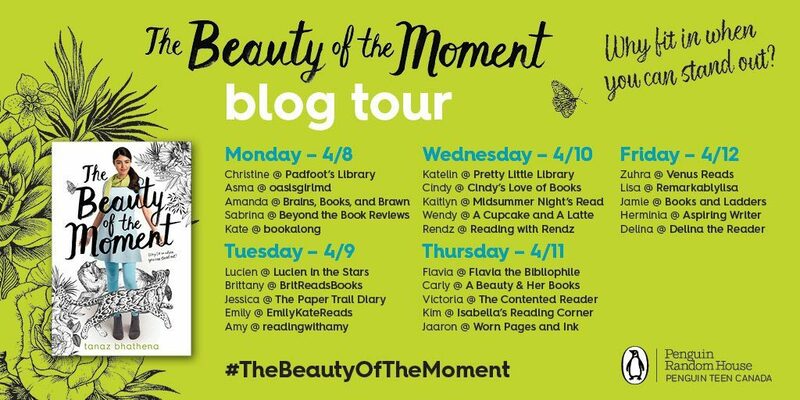 I think this is an interesting take on the typical YA romance, so I’m looking forward to it! Heroine by Mindy McGinnis: Leave it to Mindy McGinnis to tackle the opioid crisis in her beautifully disturbing brand of YA fiction. A car crash sidelines Mickey before softball season, and she’s desperate to keep her spot as catcher, so she finds herself addicted to painkillers and the benefits to the new life it’s brought her. I loved The Female of the Species so much, and have been looking forward to this one for a while! If, Then by Kate Hope Day: I’ve actually read this one already – it was so captivating! I liked it a lot and it stuck around in my noggin for a while after reading it, which is a good sign for me. It focuses on four people who all know each other in some way and live near a volcano in Oregon – and they all have weird occurrences of seeing visions of themselves in very different circumstances. Alternate realities! It makes them paranoid and questioning their realities – leading to lots of ‘what ifs.’ The story is intricate, honest, and exciting – you really don’t know how it’s going to end. It is more of a character exploration novel than a sci-fi journey, so keep that in mind. Meet Me in Outer Space by Melinda Grace: I’ve read this one already as well and had such a good time reading! I was drawn in by learning more about a character in college who has a learning disability and was kept in by the sizzling chemistry she has with her TA. 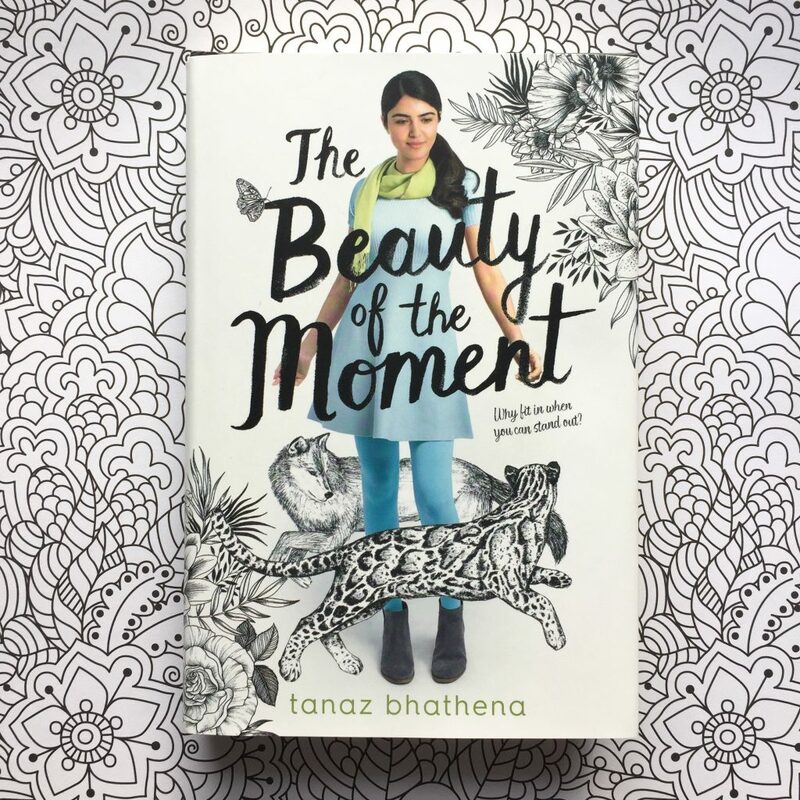 The only thing is I wanted it to be much longer – this was a really quick read and I wanted more from the characters! The Witch’s Kind by Louisa Morgan: Ever since I read The Witches of New York I’ve been super hungry for another great witch novel. Could this be it? The Witch’s Kind is set in the Pacific Northwest in WW2, starring a young witch and her equally witchy aunt. First they find an abandoned baby with a hint of the kinds of power they have; second is the young witch’s long-lost-husband reappears. *strokes chin* It’s a story of the lengths we go to to protect our loved ones. Exciting! Internment by Samira Ahmed: I’d say this is one of the most hotly anticipated books of the spring. Set in a horrifying near-future US, a 17-year-old girl named Layla and her parents are forced into an internment camps for Muslim Americans. With the help of friends on the inside, a boyfriend on the outside, and a new alliance, Layla starts a rebellion against the camp. I am excited and kind of terrified for this book, but I feel like it’s going to be a necessary read. The Library of Lost and Found by Phaedra Patrick: Obviously this title and cover are total bait for us book lovers, but I will fall for it every time! This one sounds like a lot of fun. A librarian who prefers books to people finds a mysterious book of fairy tales on her doorstep, with a dedication inside from her dead grandmother and a clue that she might still be alive. Oooh! Now, I’m going to prepare myself that this will be more like The Bookshop of Yesterdays which is more about family secrets than books, but it still sounds real interesting. That’s it! I’m looking forward to reading these! What are you reading this month? This might be the most rant-driven post I’ve ever written. It’s also going to be completely spoiling The Secrets of Paper and Ink by Lindsay Harrel, so read at your own caution. Also, I’d like to leave this disclaimer that I don’t exactly have a problem with people who are religious – one of the things about religion that bugs me the most is when God is presented as the answer to a problem. I have a lot of thoughts to work out on my own about religion but right now I want to focus on the kind of hilarious escapade I’ve had in reading and how furious it’s left me. So, read on for my review of The Secrets of Paper and Ink. I’ve been running a monthly letter-writing drop-in with my friend Andrea aka the snail mail queen @dreyray over at Toronto’s First Post Office for a year now! To celebrate, we’ve completely rebranded :p We are now the co-runners of the Toronto Letter Writers Society, and our events are Letter Writing Socials! We’re so happy with this update and are feelin’ real fancy. Follow us on Instagram or join the Facebook group. You should also so totally write to us. We’ll write back! We meet every second Sunday of a month (unless it’s a holiday), from 1-4 pm. 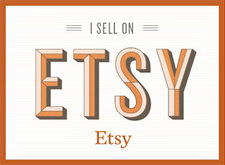 You can bring your own supplies or use ours. No cost to attend. We’re incredibly grateful to the Post Office for letting us have so much fun, and to the friends we’ve made through the events. 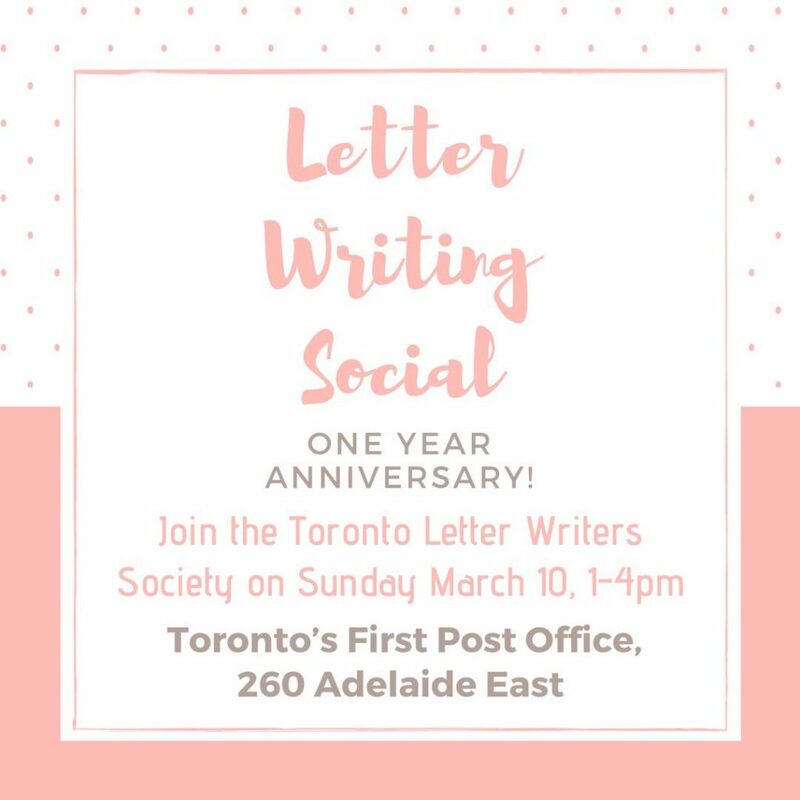 We will be celebrating one year of awesome letters and pen pals on Sunday, March 10 – come on out! This entry was posted in Snail Mail. I’ve started out 2019 by reading about some real badass girls and I dig it! 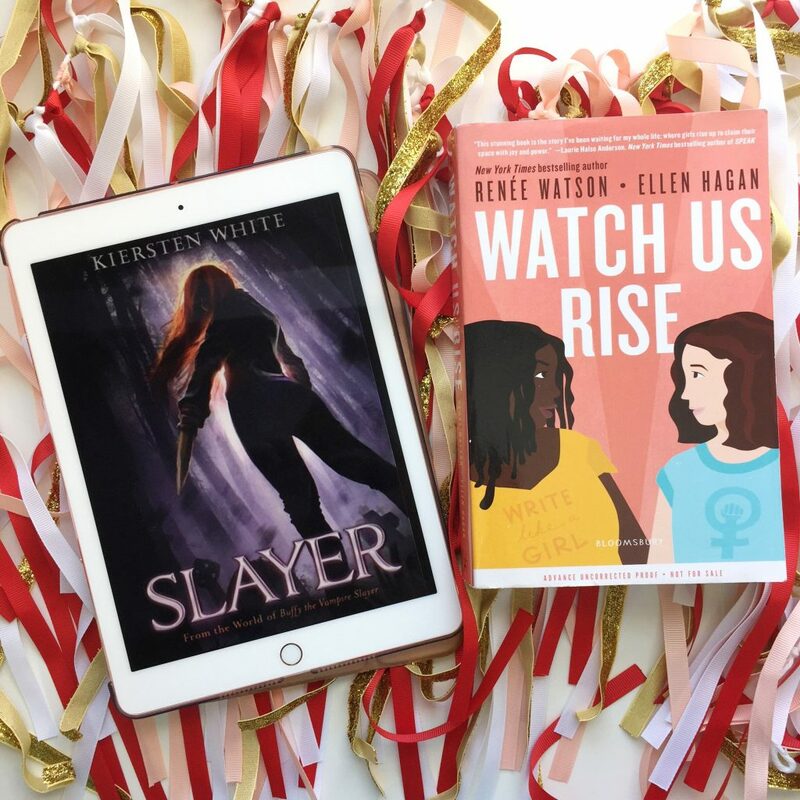 Check out these reviews of Slayer – a continuation of the Buffyverse – and Watch Us Rise – about two girls who make some noise. A lot was working against me and this book. 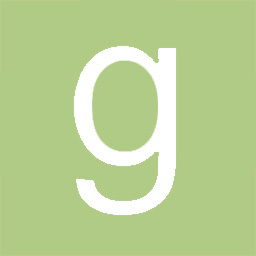 I’m a big Buffy the Vampire Slayer fan. I don’t read fan fiction and not really into that side of things. I didn’t know what happened in the comic seasons between the tv show and this book. I had a hard time with the writing style. I almost put this book down so many times but I did finish it! It did get better for me, but it was a bit of a painful process. This isn’t fan fiction, I will clarify, and I know it’s accepted as canon, but it just felt so different to me. Nina is part of the Watchers world – the people who were once tasked with protecting the Slayers. But the Watchers have had a rough go of it since Buffy dismissed herself from their stead. Their headquarters were blown up in the last season of the show, and the few remaining Watchers and their families have been on the run ever since. Now in Ireland, they live in their castle and wonder what to do with themselves without being able to protect the hundreds of slayers that were activated at the end of the show. Nina’s father was Buffy’s first Watcher – the one who told her of her destiny in LA. But he was killed on duty. And then Buffy ended all of magic in order to save the world in one of the comic seasons. All of these happenings mean that Nina really hates Buffy. Like a lot. So much so that she repeats it constantly. So for someone who enjoyed Buffy, to come right into this was kind of off-putting in a way. But it was the repetition that really bugged me. Anyways. Nina’s been feeling weird lately, but hasn’t told anyone. When she surprisingly took down a hellhound on castle grounds, her worst fears are confirmed: she is a slayer. The last one, in fact, to be activated before magic disappeared. There’s a ton of angst around this, which is to be expected, but it did grate on me after a while. Then there’s Nina’s relationship with her twin sister Artemis and their mother, full of so much tension and confusion. Nina spends the book constantly questioning everything that it gets a little out of control. Everyone expected Artemis to be the star – she’s strong, smart, and a natural leader. Their mother even saved Artemis first when their house was on fire, so that’s left Nina feeling traumatized for sure. With her new slayer power, the dynamic in the family has shifted. I liked this aspect since in the Buffy show, Joyce (<3) was just a lovely regular person, and Dawn was a whiny ball of light. So for a whole family to be involved in this way was interesting to me. Even when Nina starts suspecting her mom has been up to something. The story continues involving more demons, a fight club, creepy dreams, and a lot of backstabbing. I wasn’t fully invested in all of it, especially the fight club stuff because it just felt so unoriginal. There’s a cute guy too of course, and I liked his role in the story. I didn’t end up reading a lot of girl power type books last year. Most of the new books that seemed to fall in that category included sexual assault, and I just couldn’t handle that in 2018. I don’t want to diss books like that because they are incredibly important. Watch Us Rise doesn’t start with assault but it does deal with the topic at one point, in a different way. This book is all about girls standing up for themselves, making noise, and not stepping down when faced with being silenced. Jasmine and Chelsea are angry. Angry at everything. Jasmine’s father is dying of cancer, she can’t stand shopping and the limitations for a fat girl, and she’s being racially pigeon-holed into upsetting roles in her theatre group. Chelsea rages against media’s role in the concept of beauty and how it affects girls, how her poetry club doesn’t seem to take modern poetry seriously, and sexist expectations on the women around her. Both Jasmine and Chelsea are writers – Jasmine tends to write more free form prose, and Chelsea writes poetry (the author who wrote this character is a poet, so the poetry is actually really good! ), but sometimes I got confused on which character I was reading because they could sound quite similar. 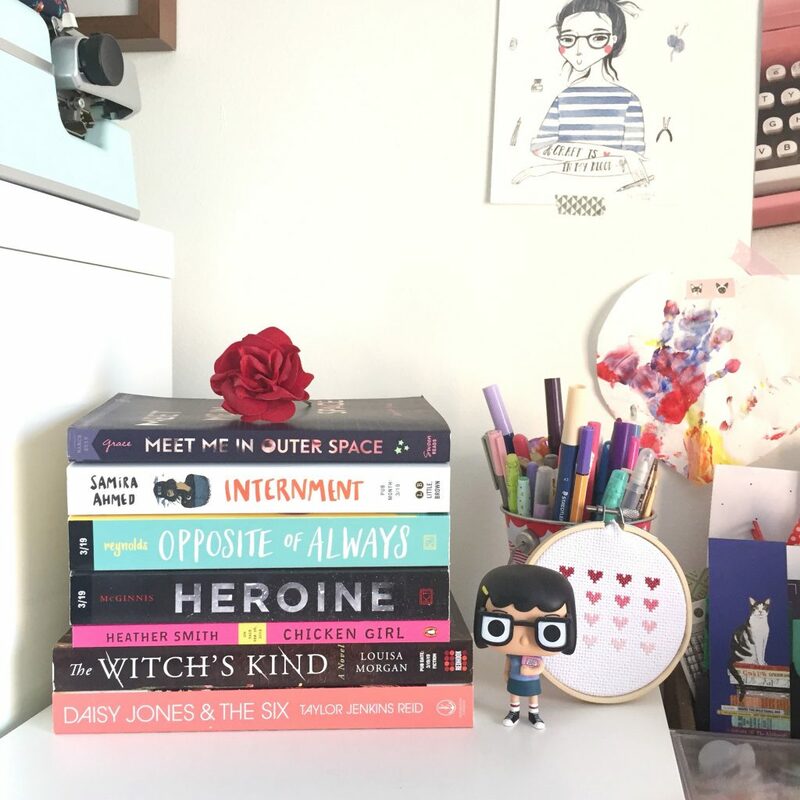 The girls end up dramatically quitting their clubs at school, and decide to start a new club for feminists with a blog, called Write Like a Girl. It was awesome to see the impact the girls made on their loved ones, classmates, and neighbours. It was also kind of great to see them put in their place sometimes. There’s a moment when Chelsea remarks to her teacher that it’s sexist she needs to go home and make dinner for a man, to which the teacher replies that she actually likes cooking and is in fact married to a woman. Context! This shows that it’s good to be angry but it’s also good to look at things from multiple angles. The times we live in are complicated. I really felt for Jasmine, and had a bit of a hard time feeling for Chelsea but I think that was kind of intended. Jasmine is precious and hurting, while Chelsea is loud and excitable. But they work together well, and they even teach each other lessons, which I think was one of the best things to show in the book. I think the authors did a really good job with this idea, and it’ll be an awesome read for teens. I wish I had something like this when I was a teenager. I think if it had a bit more tightening up (it was a lot longer than it could’ve been), it would be stronger, but there is so much strength in there it’s like a month’s worth of protein. Get em, girls!! Norris Kaplan is not a Canadian, not yet an American… he’s somewhere in between, if that. He’s Black (of Haitian immigrant parents), but was born in Quebec (that’s French Canada) and now he’s living in Texas, where all he does is sweat and grimace at his fate. He had friends and a life in Montreal, but his single mother got a job as a professor at the University of Texas (in Austin) and his father has no “room” for him in his new family, so off he went to the South in his junior year of high school. He promised his mom he’d give it a chance, but begrudgingly. When the school guidance counsellor hands him a notebook to jot his thoughts down during his acclimation to American life, Norris uses it to put his classmates into their stereotypes on paper, especially his sworn enemies: jocks and cheerleaders. Norris slowly finds a friend, a coworker, and a sort-of girlfriend, but it isn’t until he screws things up with everyone that he realizes how good his life got in Texas. I really enjoyed reading along as Norris settled into friendships with an odd duck named Liam and a cheerleader named Maddie. They both had great chemistry with Norris and I have a soft spot for people who understand and notice others when nobody else seems to. I liked being on the ride of Norris’s growth, and the way author Ben Phillippe ironically framed his story to mirror the American movie cliches. 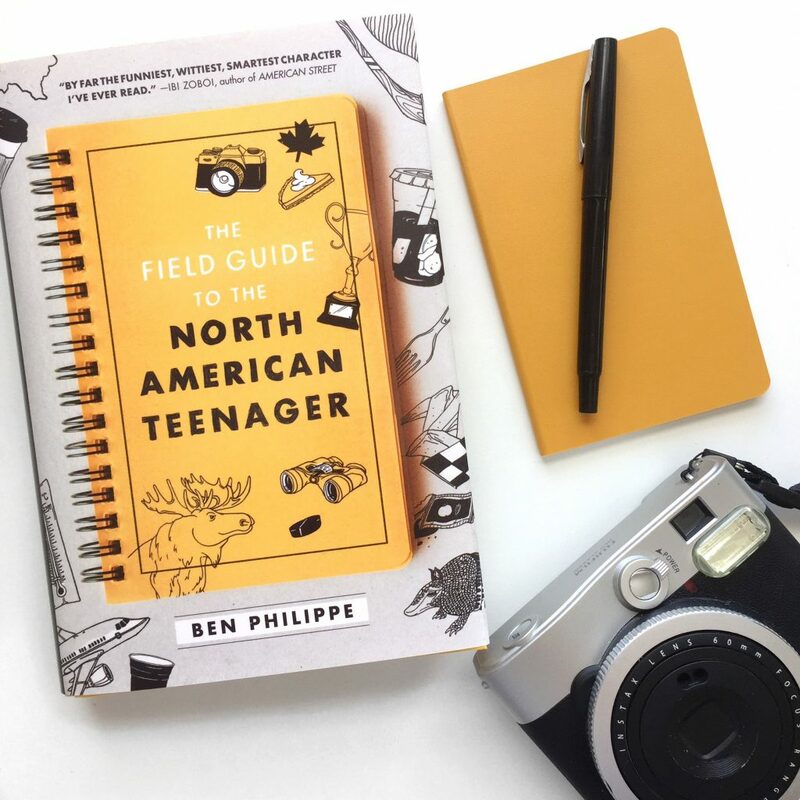 The Field Guide to the North American Teenager is endearing and entertaining, and proves debut author Ben Philippe has some serious storytelling chops!